For those motoring pilots that are looking for the same easy launching and handling as the Muse, but more speed and greater gliding efficiency, the Eden 3 is the perfect choice. 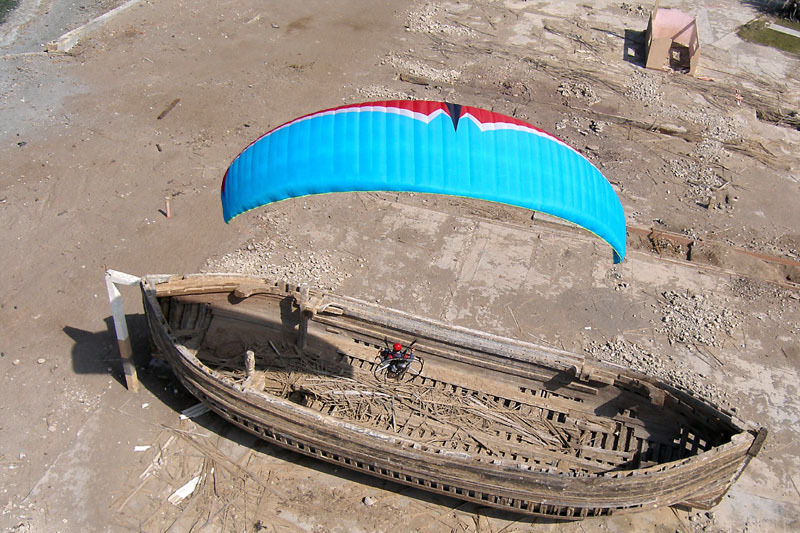 It is one of the most responsive DHV 1-2 rated gliders in the ppg market. Everyone that has tried the Eden comes back with a smile. It is both fast and safe. It’s also an excellent choice for free flight. With an 8.3 glide ratio this baby loves to soar! 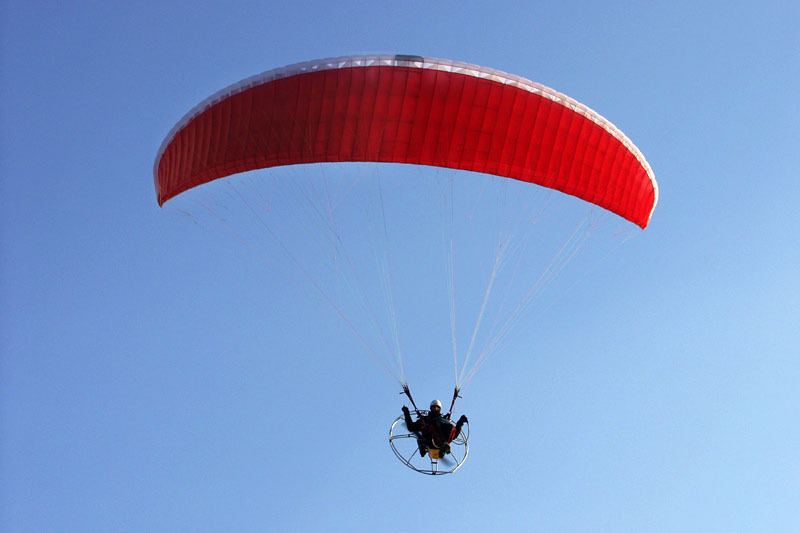 Approved according to DHV and DULV guidelines the Eden 3 offers the most modern standard in paramotoring gliders. The Eden 3 has 52 cells, which get thinner closer to the wing tip. The slim elliptical form of the canopy has an aspect ratio of 5.26. Diagonal V-tapes and a system of load-bearing tapes give the canopy stability and influence easy behaviour during extreme manoeuvres. The canopy is very resistant to collapse. It features excellent stability throughout the full weight range and speed window. In an induced collapse the glider does not rotate quickly and will usually reopen within 50 degrees. The opening is smooth and predictable. MAC pilots already know that we do not have to advertise the easy launch and landing characteristics. Despite high performance potential and agile handling the Eden 3 has good dampening in all axes. The light brake pressure allows pleasant turns during long flights, but increases progressively toward the end of its travel to offer safety reserves. The Eden 3 is equipped with split A risers for easy big-ears. Although the Eden 3 was load tested to 8G of 197kg (this means 1.600 kg) the paramotoring versions are equiped with stronger main lines. This warranty one of the highest level of security. You can order it with DULV risers. The transitioning from free flight to powered flight with DULV risers is very simple. Hook up the carabines in the second position and off you go with shortened riserlenght for powered flight! No need to extend the brake lines. 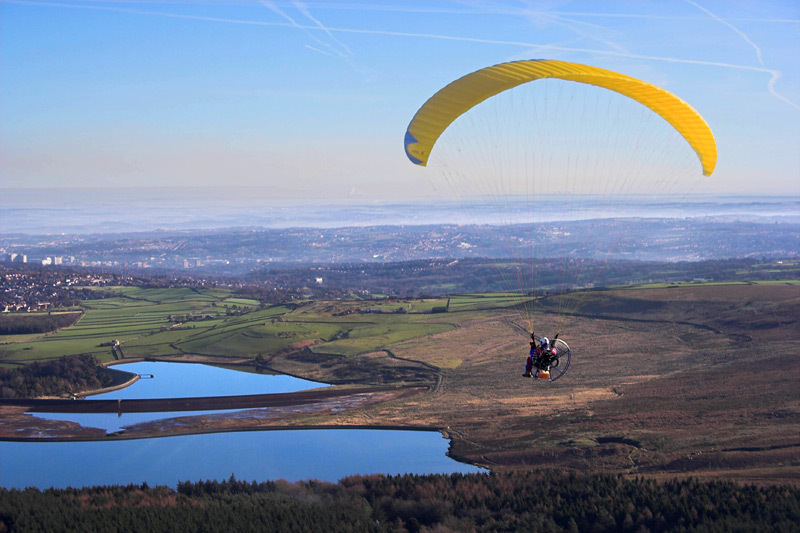 Approved according to DHV and DULV guidelines the Eden 3 offers the most modern standard in paramotoring gliders. The Eden 3 is certifired and produced in 6 sizes. 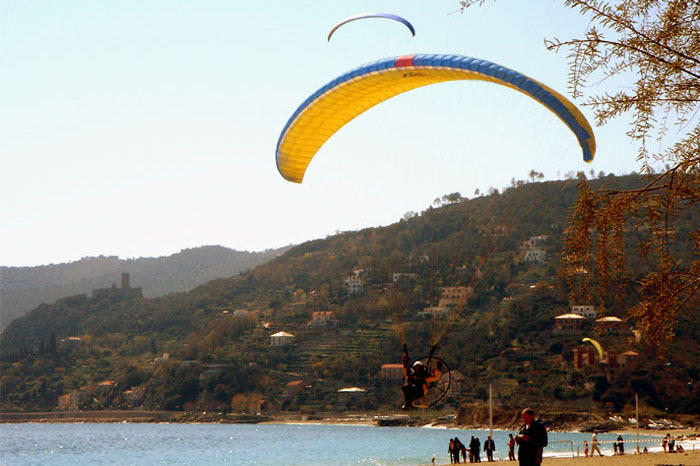 We recomend to choice for paramotoring the same size like for free flying. It means your naked weight plus cca 35 - 40 kg. That is the weight range in the specifications. remains stable at max speed of 50 km/h!